Home / Heal Ur Gut / Autoimmune?.. Have You Heard of Th1 and Th2 Dominance? I remember the day I was reading the book Why Do I Still Have Thyroid Symptoms? When My Lab Tests Are Normal by Dr. Datis Kharrazian and came across the section on the importance of Th1 and Th2 dominance in Hashimoto’s Thyroiditis. I had never heard of this concept before and found it intriguing. I recently came across Mickey Trescott’s explanation of Th1 and Th2 dominance and felt it important to share with all of you. 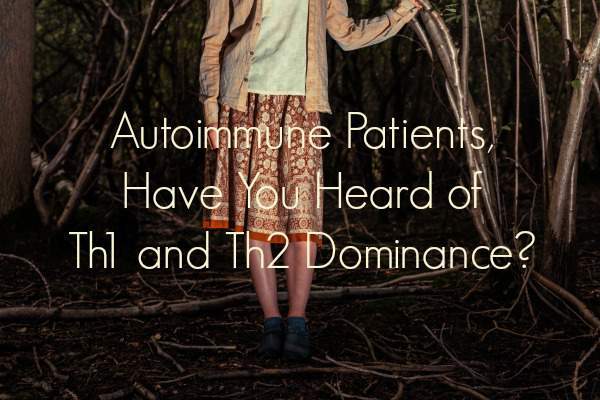 This post was originally created for www.ThePaleoMom.com in two parts What is the Role of Th1 and Th2 in Autoimmune Disease? and How do You Balance Th1 and T2 in Autoimmune Disease . In this article I hope to give readers a basic explanation of how the T-helper cells work within the immune system, as well as what factors can cause them to be more or less in balance. Dr. Kharrazian is the practitioner who has developed the protocol for treating autoimmune disease by balancing Th1 and Th2. If Th1 is dominant, he will use Th2 stimulating compounds to raise the level of Th2, and vice versa. In addition, he uses other vitamins and compounds that are known to modulate the balance between Th1 and Th2. His view is that by balancing Th1 and Th2, the autoimmune attack is lessened and the body is able to function closer to normal. If suferring from an auto-immune condition, it is often the result of leaky gut, see our protocol for healing the gut here (HUG). Mickey Trescott is the cook and blogger behind the website autoimmune-paleo.com, which provides recipes and resources for the autoimmune protocol. After recovering from her own struggle with both Celiac and Hashimoto’s disease, adrenal fatigue, and multiple vitamin deficiencies, Mickey started to write about her experience to share with others and help them realize they are not alone in their struggles. She is a certified Nutritional Therapy Practitioner by the Nutritional Therapy Association guiding people to better wellness through 1-on-1 customized nutritional therapy. Mickey is the author of The Autoimmune Paleo Cookbook: An Allergen-Free Approach to Managing Chronic Illness, a guide and recipe book for the autoimmune protocol. She wrote the popular guest post How Autoimmune Paleo Change My Life at Hypothyroid Mom.